To play Mario Kart is to suffer, especially if you’re in first. Sometimes, though, the Mario Kart doesn’t just take the crown away—it also makes you regret picking up the controller at all. Oof. Stop it, Mario Kart, she’s already dead! 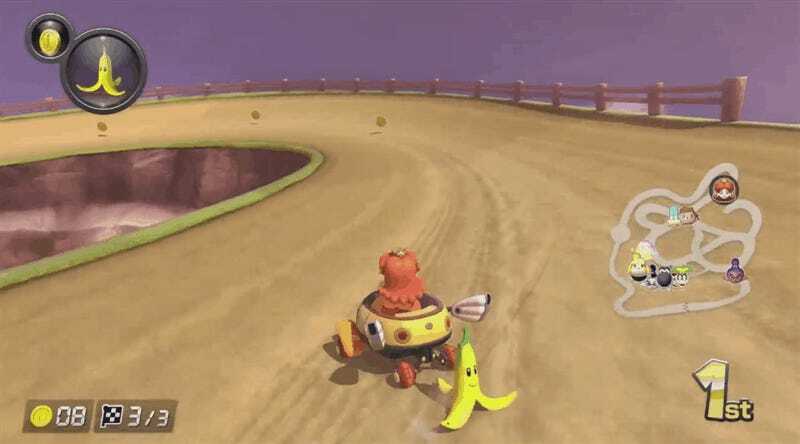 I guess Daisy must be cursed: remember that time she got wrecked in Mario Kart Wii? That’s the Mario Kart experience for you.